Evergreen perennial. 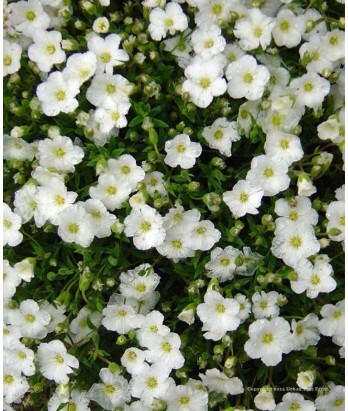 Low growing groundcover. Small, dense, dark green foliage. Bright white. Five-petaled flowers bloom in spring. Moderate water needs in well-drained soil once established. Hardy to 0°F and below.